Howdy friends! A huge thanks to Paula for inviting me in to meet you all! I am delighted to be sharing one of my favorite recipes with you today. I love trying new recipes and foods, but when I cook for the cowboys, I tend to stick with old favorites. My Cowboy is no exception. 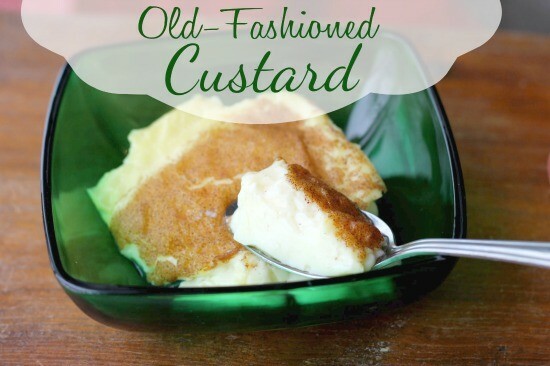 He loves the flavor and smooth texture of this simple custard. It is super easy to put together, and doesn’t use any special ingredients, which is perfect for those times when you are ‘out of everything’. I have that problem a lot, since I live 25 miles from the nearest store. Today it is snowing again for the second day in a row. Cold weather always makes me want to bake something that smells yummy. Custard is perfect. Custard always smells so… cozy! Can food smell cozy? I think so. The aroma of eggs, milk and vanilla baking, with a hint of nutmeg – yes. Definitely cozy. 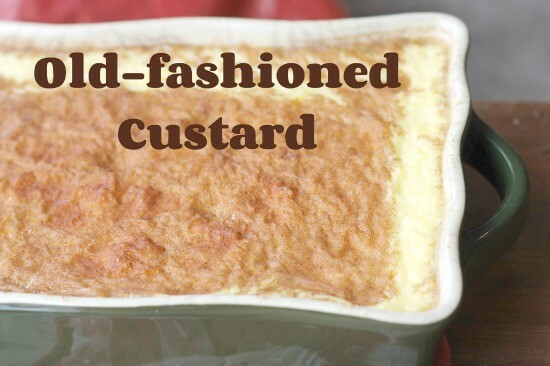 Custard is also very versatile. You can eat it warm or cold, plain or with fruit. You can even drizzle caramel sauce over it! Yum! So lets get to it, shall we? Place eggs, sugar, salt, vanilla and milk in a bowl. Using a wire whisk, whip it together well. Pour into an un-greased 2-quart baking dish. Bake at 325º for 50-60 minutes, or until a clean knife inserted in the center comes out clean. It will still be shaky when it’s fully cooked. Cool and serve, or store in the refrigerator. How about you? Do you like to bake when it is cold outside? Kay is a mom of four sweet kids, and the wife of a working cowboy. She untangles her thoughts through writing, and enjoys sharing stories about life on a working ranch over at A Ranch Mom. She also enjoys puttering in the garden, whipping up new recipes, and holding baby chicks. Jesus is her hero - she reads about Him all the time. You can connect with Kay on her blog, Instagram and Facebook. You can also keep up with her chicken coop obsession on Pinterest. Cookies! Lots and lots of chocolate chip cookies are what I bake when it’s cold outside. Thank you for the custard recipe. We will have to try it out very soon. 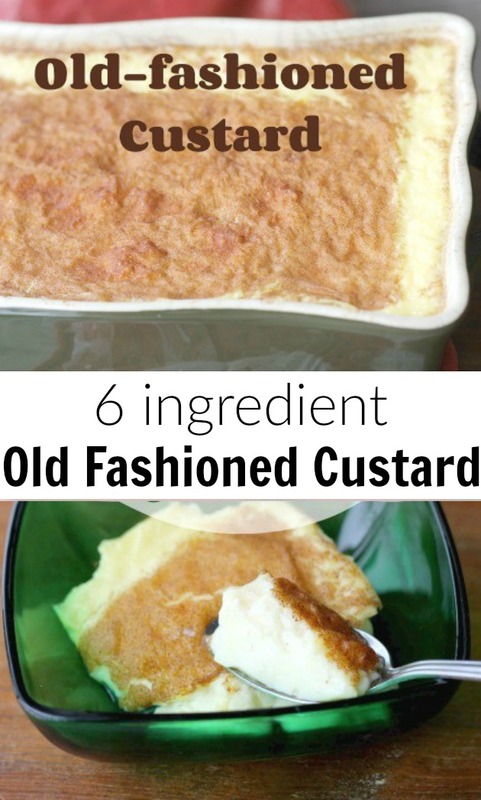 Hey Buddy!, I found this information for you: "Old-Fashioned Custard". Here is the website link: https://www.beautythroughimperfection.com/old-fashioned-custard/. Thank you.